Firefighters are battling two grass fires that started Sunday morning in Reservoir Canyon in San Luis Obispo. Firefighters have stopped forward progress on both fires. 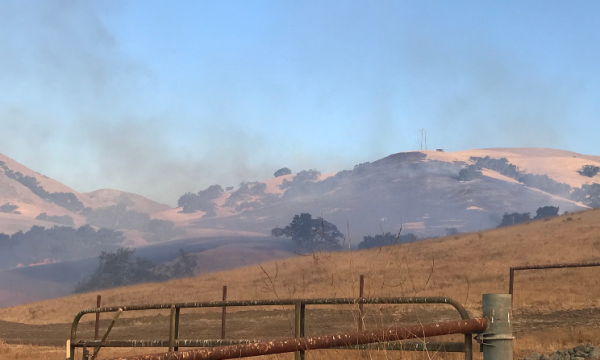 At about 8:30 a.m., Cal Fire responded to reports of one fire burning near the northwest end of Reservoir Canyon and another fire burning grass near Highway 101. Firefighters from the San Luis Obispo Fire Department are working to extinguish the blaze which is currently 60 percent contained. The cause of the 50 acre blaze, which officials have dubbed the Reservoir Fire, is under investigation.